If you're looking to buy Bitcoin on the go, Pelicoin has the solution. Our cryptocurrency ATM network is the most secure in the Gulf South. Stop by any of our machines to purchase Bitcoin (BTC), Litecoin (LTC), or Ethereum (ETH). This particular Pelicoin ATM is located at the Discount Zone gas station on West Metairie Avenue across the street from Krispy Kreme Doughnuts. Bitcoin and other cryptocurrencies have grown in popularity for a number of reasons. Cryptocurrency is virtually impossible to counterfeit or steal. It's also decentralized and offers you individual ownership of your funds, keeping government entities and other institutions out of your wallet. In fact, cryptocurrency has the capacity to help keep your identity, personal information, and transactions private. There are even those who invest in cryptocurrency to make a profit when its value increases. We believe anyone who's interested in cryptocurrency should have access to simple, safe transactions. Pelicoin Bitcoin ATMs make it possible. Our machines are installed in friendly, convenient locations throughout Louisiana, and our support number is available if you have any questions or concerns. 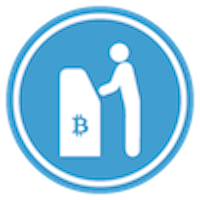 Just use this Metairie Bitcoin ATM like any other ATM, and turn cash into cryptocurrency with the push of a few buttons.